The girls recieved this shop for Christmas a couple of years ago, and it’s been amazing for inspiring lots of wonderful role play. I’ve been trying to move away from the traditional food shop set up and will be trying a new theme each week. 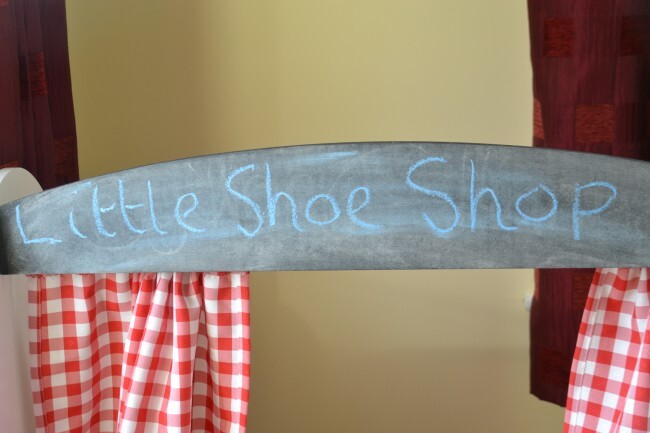 Today, is the turn of the shoe shop! I stacked the shelves neatly with slippers and dress up shoes, added a couple of shoe measuring tools I bought from the Clarks website and we were off. We encouraged S to do some writing practice, by writing names and shoe sizes in a little book. She did really well, it’s amazing how fast she is learning now she’s started school. 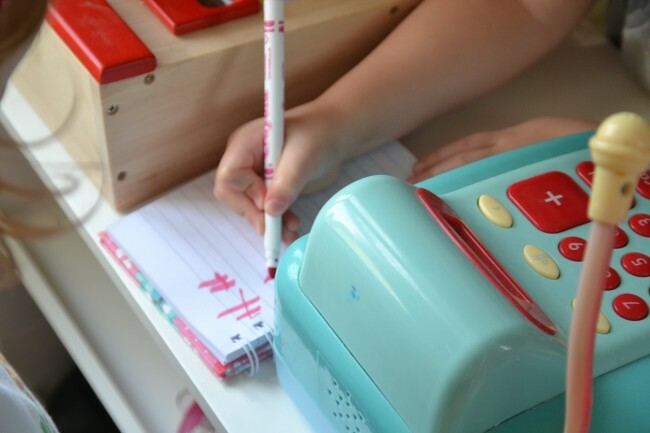 I put some real money in the till and Z helped the girls work out prices for the shoes and give the correct change. The kids played for hours with this, mostly without arguments. Apparently my dress up shoes and slippers were not good enough though, as I left the room for a few minutes and came back to find the shop stacked full of real shoes. Do pop back next week to see our Vet Shop. Shop purchased from Great Little Trading Company. It’s never too early to practice shoe shopping! Thanks for linking up to our Parenting Pin-it Party. Ha ha, my thoughts exactly! Oh what a fab idea, that the kind of role play I want to do. Must get myself a foot measurer from Clarks! Amanda @gidders1 recently posted..Marisota : Mark Heyes, Ava and I Do Fashion. 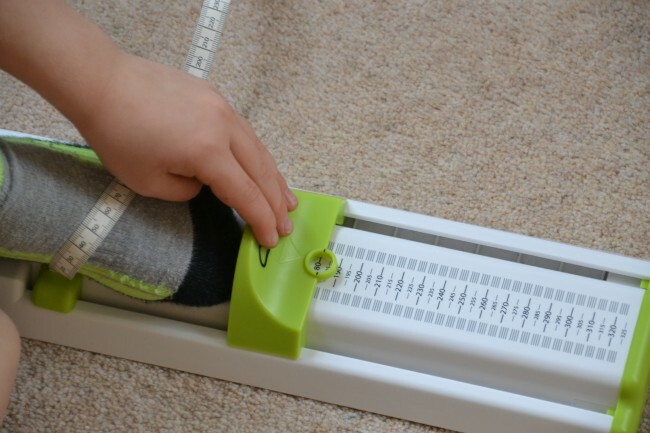 this is a brilliant idea, I didn’t know you could buy those measuring tools….they’re great. Jack is obsessed by raffles & tombolas at the moment so we always have to buy tickets off him! Thanks Helen….and I am loving the raffle idea…goes to buy book of raffle tickets!